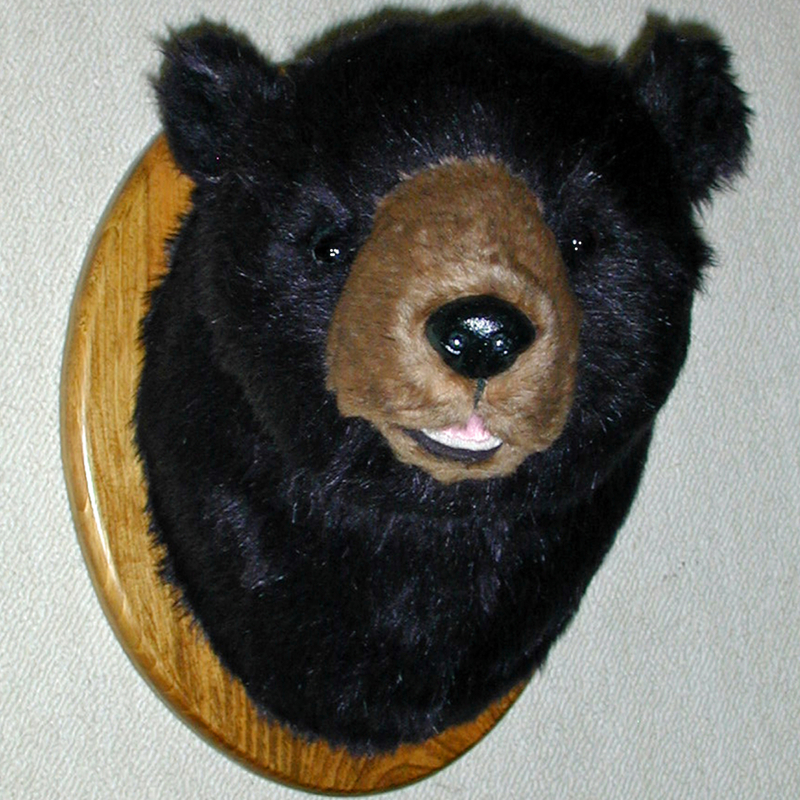 Fairgame Wildlife offers a natural and appealing series of plush animal mounts. 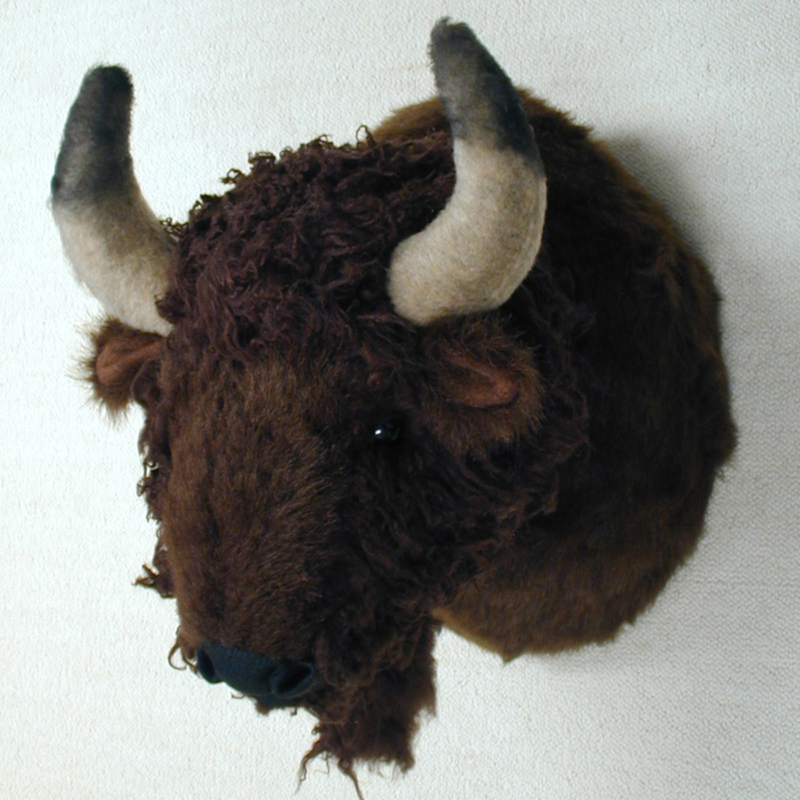 Non-threatening and decorative, these trophies quickly become popular members of family or staff. All are firmly stuffed with non-allergenic poly-fill. 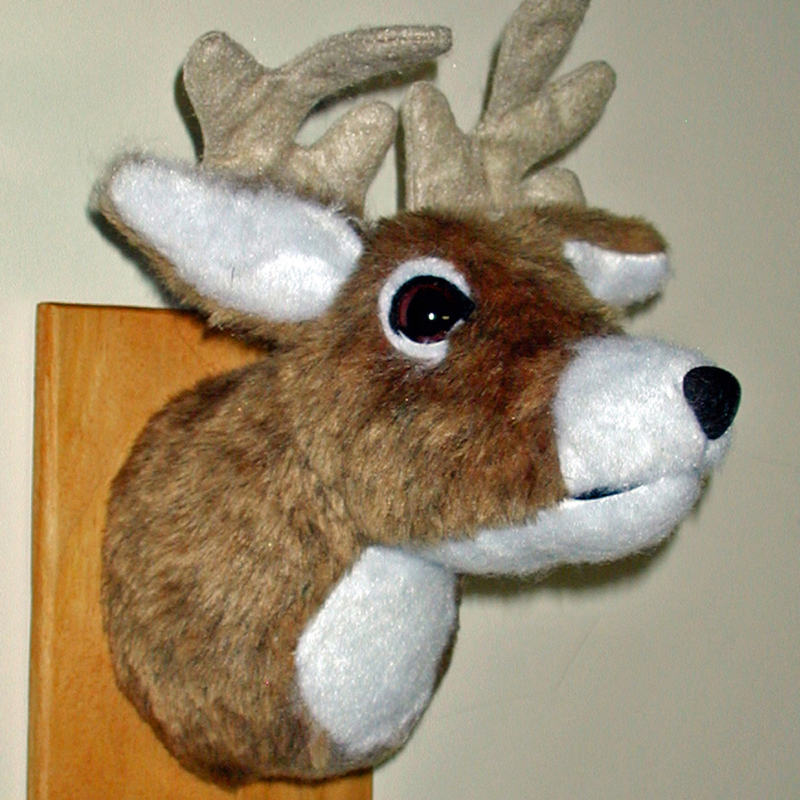 Some are finished as shoulder mounts where the fur is pulled tightly over the back insert. Others are mounted on a plaque leaving a frame-like border of finished wood. All arrive ready to hang and enjoy. We keep a large inventory and ship most orders USPS the next business day. They are in homes, offices, theme rooms, camps, condos, bars and restaurants. We have shipped to every state (except Hawaii), the District of Columbia, six Canadian Provinces and a number of countries around the globe. Cirque du Soleil in Montreal has ordered from us. Some have appeared in videos and theater productions. They’re hanging in North Pole, Alaska, and even one in a tent somewhere in Afghanistan. We feel that it is important to use American made materials. We buy everything from American-run businesses. 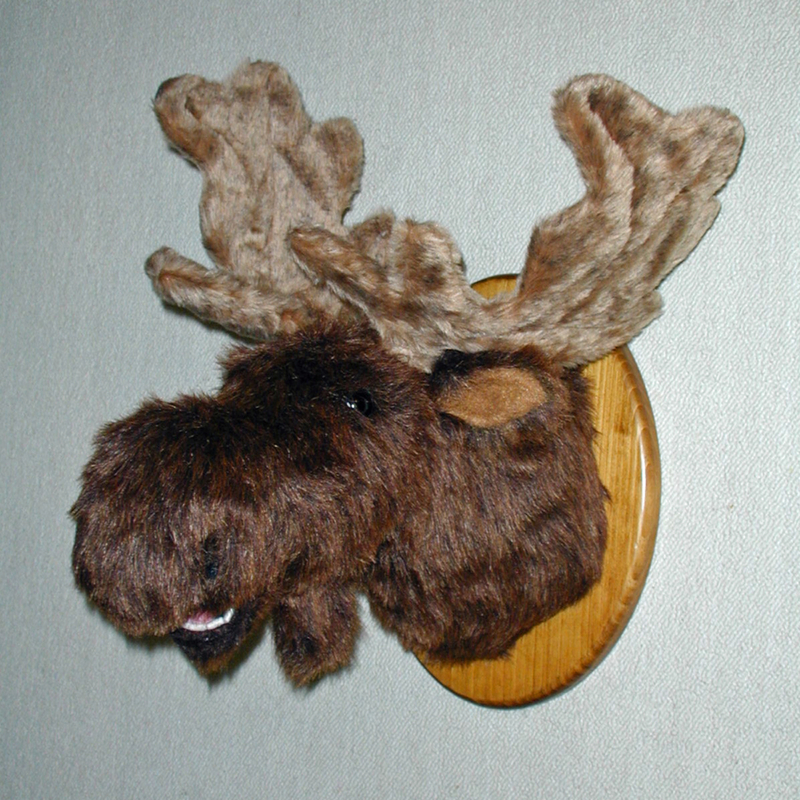 Part of our popularity, even overseas, is that our mounts are realistic portrayals of North American wildlife.